Why did our MPs miss this climate change debate? “Would you like to have some Medicine power?” Frog asked. “Then crouch as Low as you Can, and jump as High as you are able! You will have your medicine!” Frog said. Little Mouse did as he was instructed. He crouched as Low as he Could and he Jumped. And when he did, his Eyes saw the Sacred Mountains. Little Mouse could hardly believe his eyes. But there they were! But then he fell back to Earth and Landed in the River! 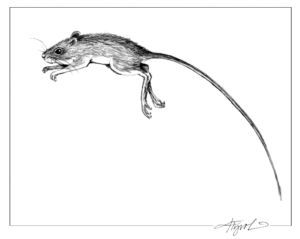 Little Mouse became frightened and Scrambled back to the bank. He was wet and Frightened nearly to Death. “ You have Tricked me!” little Mouse screamed at the Frog. “Wait,” said the Frog. “You are not Harmed. Do not let your fear and Anger blind you. “What are your children doing this Easter holidays? Our days are centred around the children and their interests. 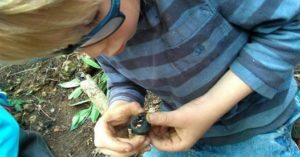 A space full of opportunities for wild playing, tree climbing, foraging, whittling, storytelling, craft and construction and anything else a child can imagine! Led by experienced Forest School leaders in a beautiful Stroud woodland. Please support the forest children who will be stepping way out of their comfort zones to sleep out in our woods on Saturday March 16th. 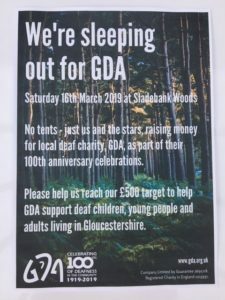 GDA is the Gloucestershire Deaf Association. You can find out about their work here. As many of you know, flat spaces in our woods are at a premium! 12 children, and some brave supporting adults, will be making shelters, slinging hammocks and snuggling up in bivi bags, wherever they can find a suitable spot. We will be providing access to a warming fire, water and cooking facilities, as well as a warm yurt and roundhouse just in case. We recently had a heart warming visit from Gilson Sly, GDA Development Officer, to explore making our woodland projects more deaf friendly.He was very complementary about what we have achieved so far, and gave us some good pointers about improvements we can readily make. We have had profoundly deaf participants on our Of Course We Can mixed ability projects. See here for the new brochure which we are in! Look forward to hearing from you and thanks for your support! We welcome you to the hearth fire of our Dartmoor roundhouse and to the Seventh Wave Music website. We are musicians and artists who live and work amid heather hills and moors, upland streams and misted valleys. We create music albums and concerts, paintings and prints, traditional flutes and drums, books, women’s workshop journeys, instrument making weekends, gentle festivals and wild sanctuary on our ancient farm. Here beside our hearth stones you can listen to audio samples from our CDs and downloads, find out about workshops, explore the archive of images from past projects and events, or wander around our recent releases and publications. Enjoy your visit. 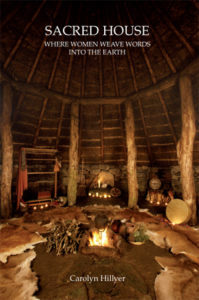 Weaving together profound stories, original source materials and lyrical texts, this extraordinary book travels a spiralling route around the hearth fire of a sacred ceremonial house, gathering up the words that are fed into the ancient flames. Drawing on over 30 years of being absorbed in women’s work (political, spiritual, creative and magical), and decades spent as a workshop creator, song writer, intuitive painter and inhabitant of hills and moors, Carolyn has written a book that describes a deep mythology for women in relation to earth, spirit mothers, mystical journeys, sisterhood and the unfolding landscape of our travelling souls, as well as a view through a personal window into life and wild land. Now in its fifth edition. Ancient Healing Ways aspires to bring to life age old nature based spiritual practices that awaken connection with self, with others and the natural world, recognising and honouring our ancestors and those who have gone before. It is dedicated to the knowing of consciousness through the land, body, pain, grief and love inside everyone and everything. Ancient Healing Ways seeks peace and social justice for all. It aims to promote, respect and care for the environment as well as forgiveness for all the wounding and hurt in everything and everyone. Ancient Healing Ways exists as a support and resource for those who seek fresh ways to see and be; for those who wish to be the deepest source of the universe and have a voice in the future of our planet. We can then honour the Earth and remember and recall ceremony as ancient prayer in everyday life. Why did our MPs miss this climate change debate ? Take a long look at this picture. 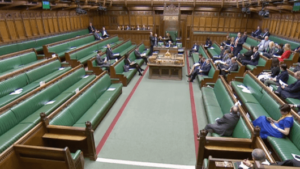 This is the first time in 2 years that there was a House of Commons debate on climate change. Our entire planet is at risk, yet only a handful of MPs could be bothered to turn up. Around 610 MPs missed the debate.